Qhualun Shaw, who was 17 when city worker Greg "Ziggy" Zyszkiewicz was murdered, was sentenced to 25 years in prison and 12 years of extended supervision Friday at the Milwaukee County Courthouse. 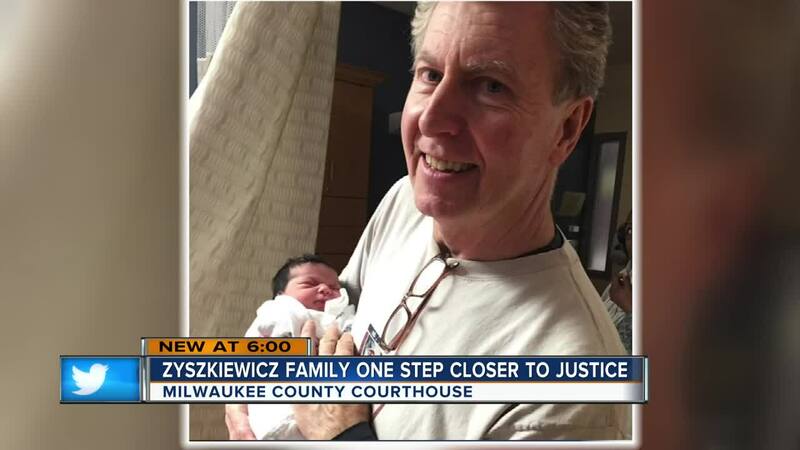 MILWAUKEE — Qhualun Shaw, who was 17 when city worker Greg "Ziggy" Zyszkiewicz was murdered, was sentenced to 25 years in prison and 12 years of extended supervision Friday at the Milwaukee County Courthouse. Shaw was one of three people charged in the case. "I just want to apologize to the victim's family," said Shaw in court. "I really am sorry for what happened to the man." Another suspect in the murder, Deshaun Scott, previously was found guilty of felony murder. Prosecutors said Scott was part of a carjacking crew that fatally shot Zyszkiewicz in an attempt to rob him in March 2017 near 35th and W. Cherry. Eric Smiley, who also was charged, pleaded guilty for murder and armed robbery. The three were involved in a slew of robberies and carjackings before the murder of Zyszkiewicz.